It’s finally here, folks. 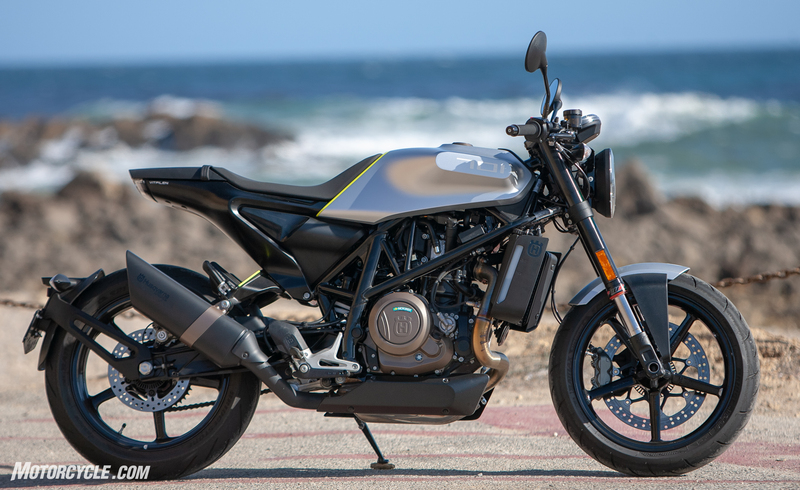 The 2018 Husqvarna Vitpilen 701. Since its concept was unveiled at EICMA in 2015, the 701 has been a highly anticipated model throughout the world. 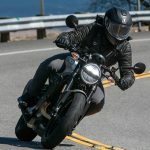 From the farthest stretches of the internet, comments have asked when, if, and where the Vitpilen 701 would be available – with some giving up hope as to whether it was ever going to be produced at all. 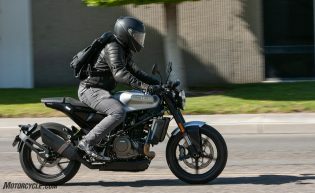 MO is happy to announce that we have had the chance to get the Vitpilen 701 in our garage and to test on our home roads. 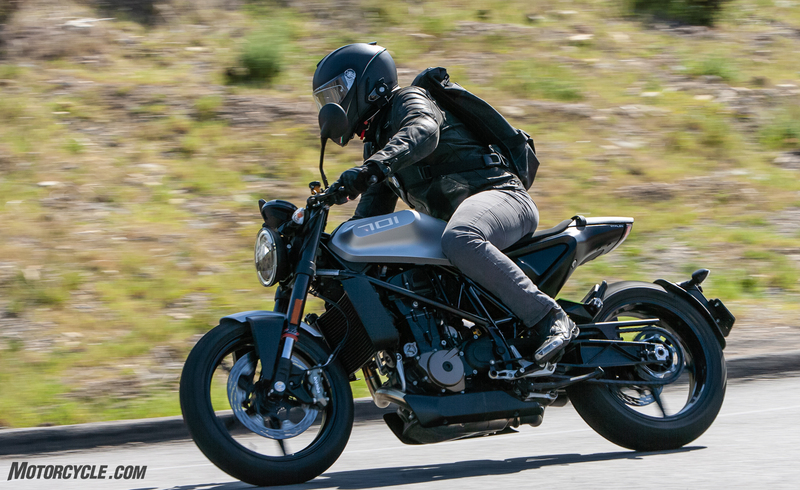 Although our time with the Vitpilen 701 was brief, we made good use of it. 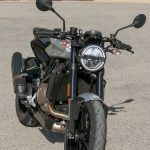 Husqvarna is making its way back into street motorcycles after nearly 70 years, but one flip of the Vitpilen’s key will remind you that the company has been “Pioneering Since 1903.” Though the company first shoved an internal combustion engine into a bicycle frame in 1903, its roots can be traced back to 1689, when the company was created as a weapons foundry. 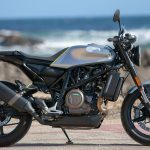 Fast forward to 2013 and KTM’s acquisition of the Swedish firm, which would give Husqvarna an ace-in-the-hole when it came to creating new street bikes. 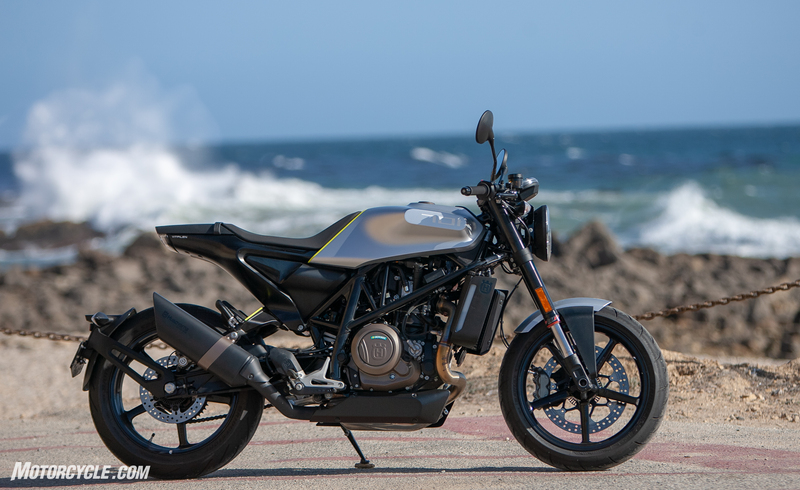 With its chromoly steel-trellis frame and 693cc Single engine borrowed from the KTM 690 Duke via the Husqvarna 701s, the new Husqvarna has a solid platform to build from. 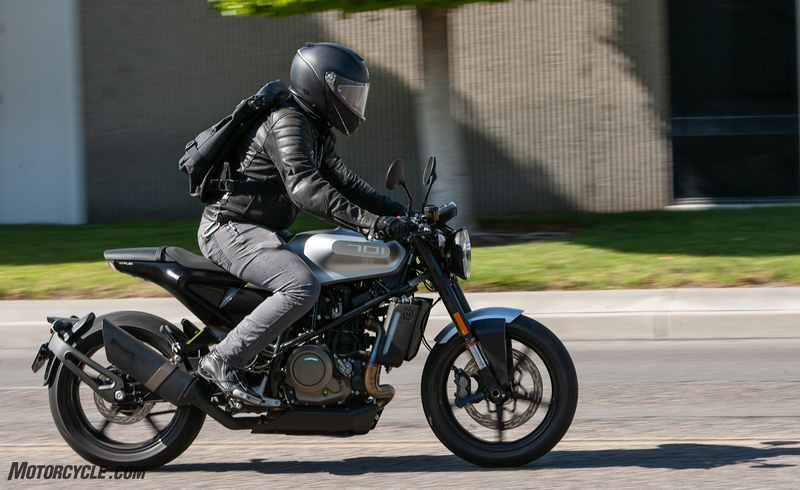 Let’s see if the Vitpilen 701 lives up to the hype. 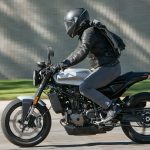 Too often we see new concept models unveiled at international trade shows sporting unrealistic bodywork, ergonomics, or materials. 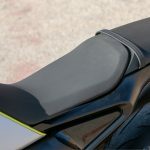 Usually, the first look at a wild concept motorcycle will garner initial shock and appreciation of the build, followed by a fleeting thought that maybe, just maybe, the production model will look somewhat close. But time and time again, production models rarely meet their wild concept’s expectations. 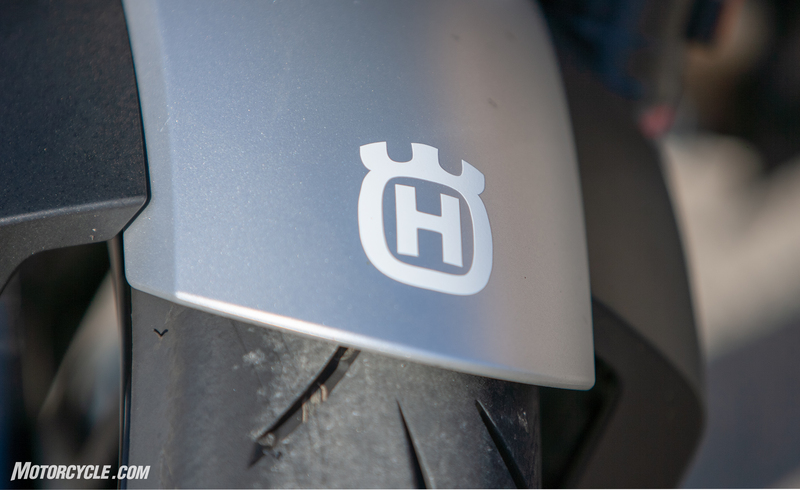 Thank you Husqvarna for delivering a production motorcycle which bucks the trend. 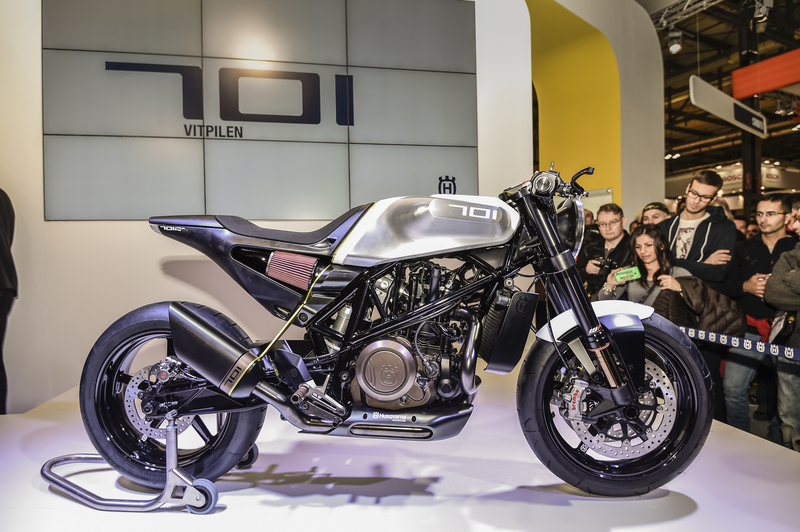 The original Vitpilen 701 concept unveiled at EICMA 2015. The 2018 Husqvarna Vitpilen 701 looks almost the spitting image of the model introduced to the globe at EICMA in 2015, save for the exposed air filter, neat looking exhaust port, and unfortunately, the dual rotors up front. There is no doubt Husqvarna has produced a fantastic looking motorcycle. 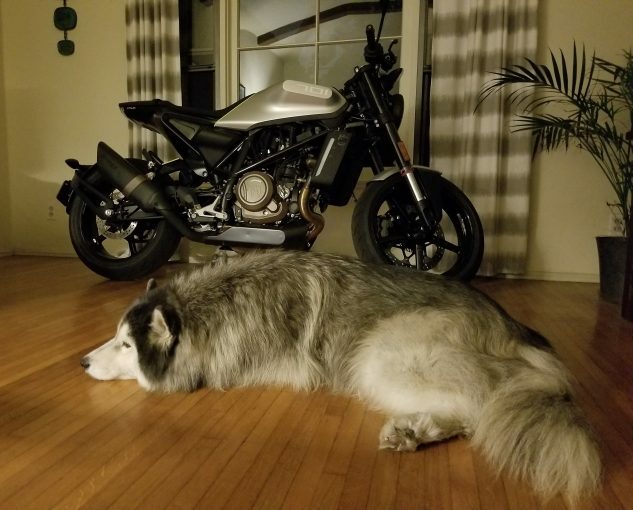 In fact, since I had the 701 while my wife was out of town, I parked it in the living room. Why not? This statement is not untrue. 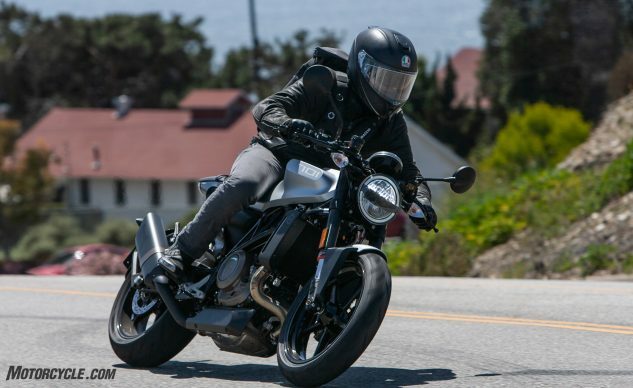 The motorcycle is unquestionably modern in design and technology without being overly complicated. 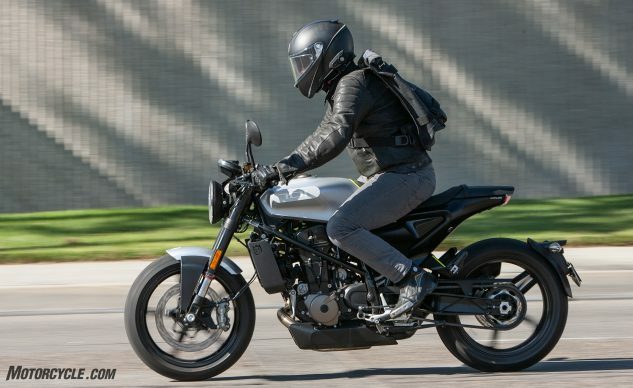 It has a fun single-cylinder motor and agile handling, yet its $11,999 MSRP makes me wonder if it needed to be this simple. 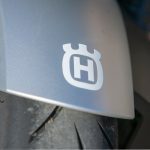 Husqvarna reps nodded in agreement when asked if they thought the price would be an issue for the 701, simply stating the bike had to be priced as such to be sold as is. 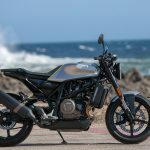 As mentioned previously, the 2018 Husqvarna Vitpilen 701 shares the same motor as its Supermoto and Enduro 701 siblings, which makes it a direct descendant of KTM’s 690 Duke motor. 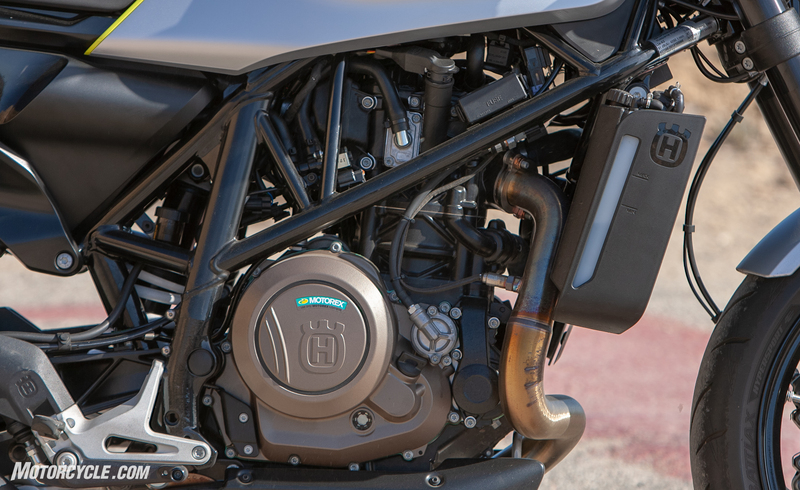 The liquid-cooled 693cc Single cylinder engine boasts a bore and stroke of 105 x 80mm and uses dual counterbalancers to smooth out the big Single’s vibez. 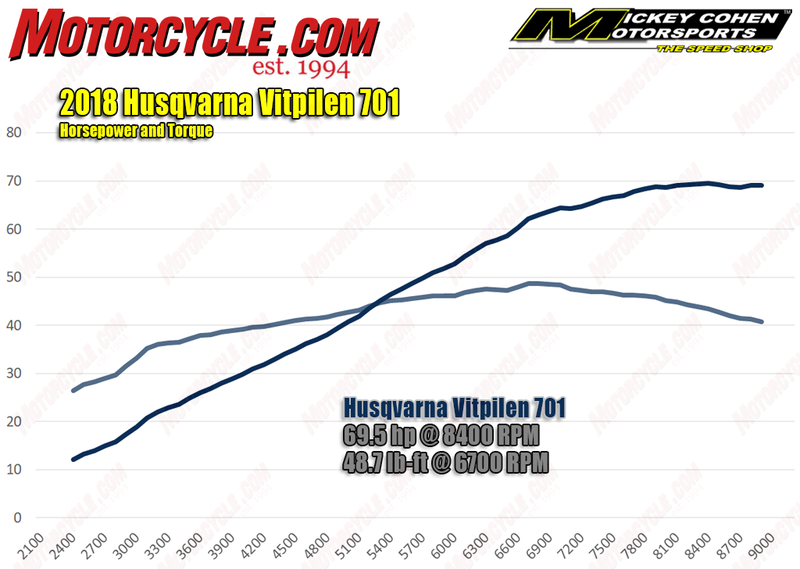 On the dyno, the Vit pumped out 69.5 hp at 8,400 rpm and 48.7 lb-ft of torque at 6,700. 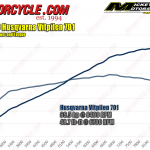 One look at the dyno chart lets you know the motor will be a ton of fun around town and on twisty roads. 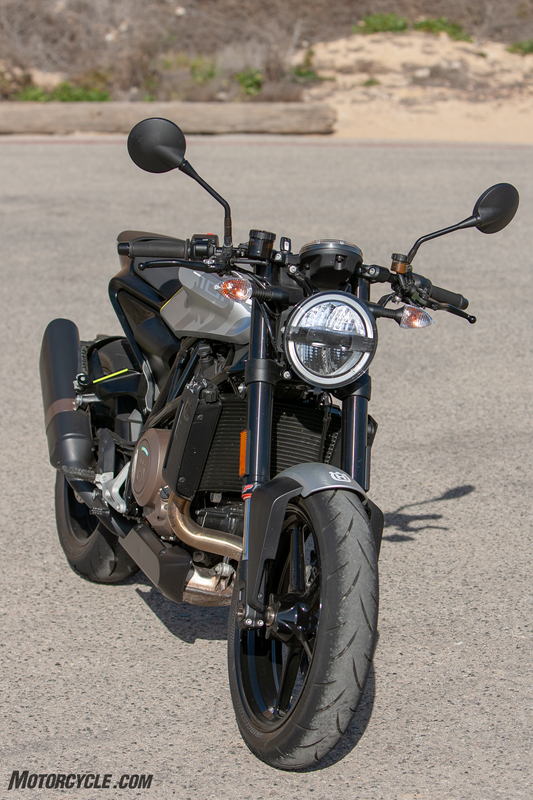 With gobs of torque available as low as 3,200 rpm, the 701 will pull hard away from stoplights or hairpin curves. 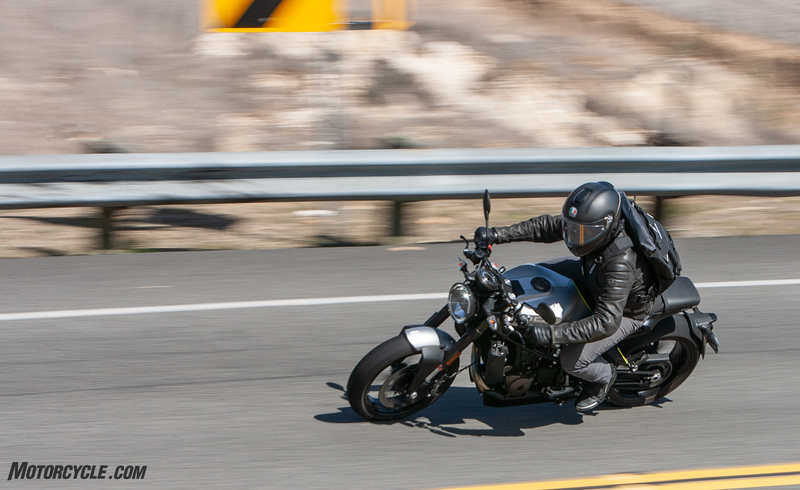 Fuel is also delivered smoothly via the ride-by-wire throttle. The sharp lines on the seat and lower part of the silver tank cover are a bit obtrusive when riding the Vitpilen 701. 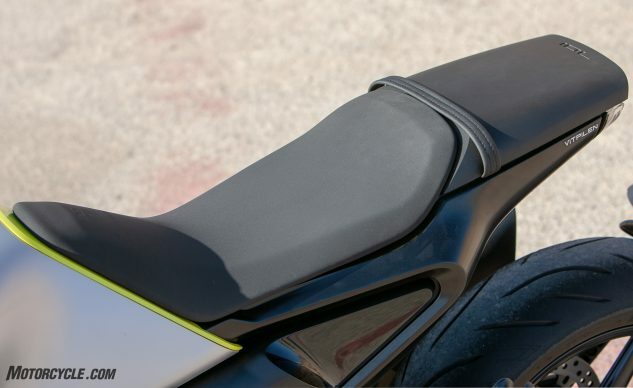 Also worth mentioning is that the rear seat is made from the same material found on the passenger seat of the KTM RC390 – which I’ve been told was rock hard. 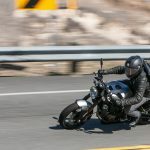 The seating position, which is basically that of a sportbike, also suggests the Vit will be fun in the curves but maybe not the best touring motorcycle. 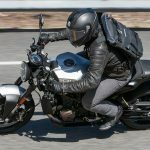 At 5-foot 8-inches, when I jumped on the motorcycle, I noticed the rider ergos felt surprisingly spread out, something that I got used to quickly and favored on twistier roads. The agility of the Vitpilen 701 combined with its 693cc thumper make for a fun ride out in the canyons. 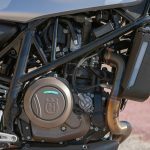 While speaking of the performance of the Vitpilen 701, we should note all of the technology subtly stuffed into the Swedish machine. 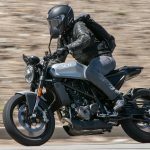 Traction Control and Bosch ABS are standard, as is the quickshifter/auto-blip downshift, and slipper clutch. 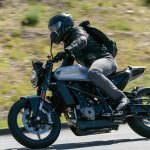 Although the 701 uses only a single 320mm rotor with a radially mounted four-piston Brembo caliper on the front, stopping power is certainly adequate, perhaps because the Swede weighs in at 362 pounds – the same as the 390 Duke we recently tested. Traction Control was never intrusive and a welcome addition. Even better, ABS and TC can both be disabled via a secret button on the dash. 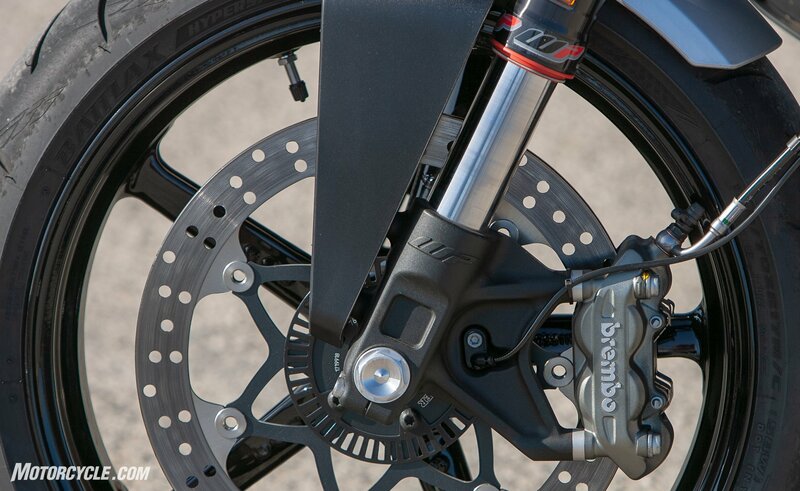 A single 320mm rotor squeezed by a four-piston Brembo caliper is used up front on the Vitpilen. Braking power was adequate, yet for $12k, I would have liked to have had dual discs. The quickshifter works well on upshifts, however, the accompanying auto-blip downshift worked two out of ten or more tries. 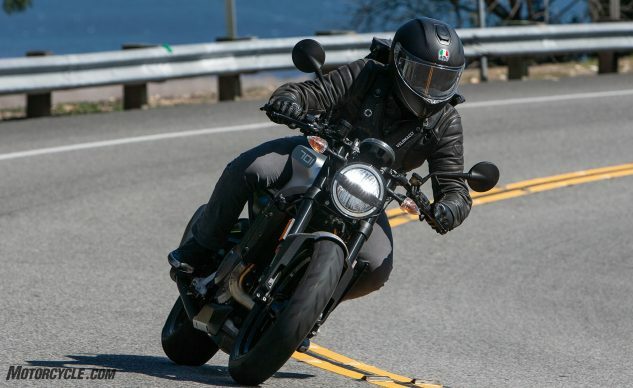 I had two perfect downshifts just by applying light, but deliberate pressure to the shifter, which was impressive. Yet every time after the initial two, I could hear and feel the engine cut the ignition, but the gearbox wouldn’t actually shift down even with considerable pressure on the shifter. You’ll also notice no sensor on the linkage of the shifter itself, due to it being housed inside the clutch cover on the shift shaft. 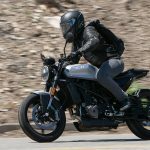 Hopefully, these are just teething issues, as the bike we tested was a pre-production model. 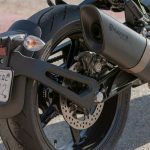 Vitpilen means “White Arrow” and where ever you point this thing, it goes. 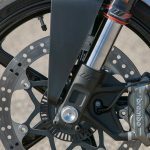 The 43mm inverted WP fork offers compression and rebound damping via hand-adjustable knobs at the top of the fork tubes while the rear shock, which uses a linkage, is adjustable for rebound and preload. Both front and rear offer 5.3-inches of travel. I was happy with the suspension, which worked really well on canyon roads, although it may be a tad stiff for pothole-ridden cityscapes. 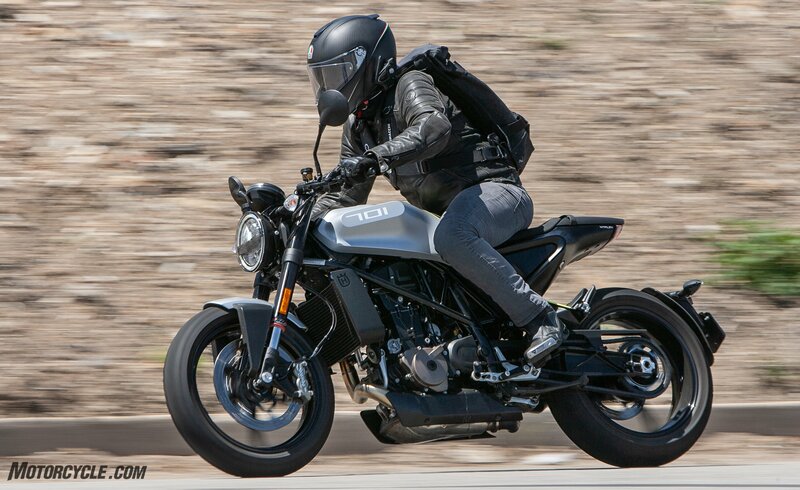 Perhaps it’s a pre-production issue, but the mirrors on the 701 we tested were entirely useless at any speed. The vibration was so bad at times that I couldn’t tell if my MO PICs were still behind me. 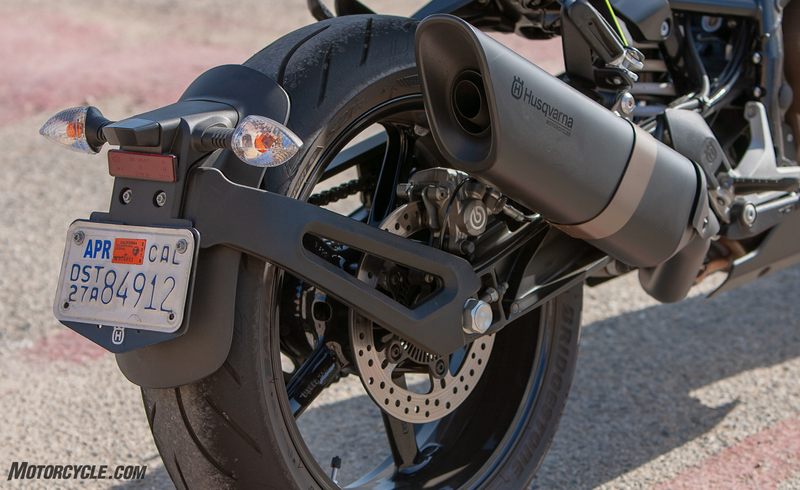 Information is provided to the rider through a stylish digital display just in front of the triple clamp. 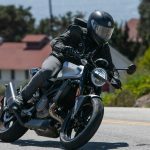 The compact LED headlight is a great figurehead for the Vitpilen 701 with its perimeter daytime running light adding to the motorcycle’s neo-café racer feel. 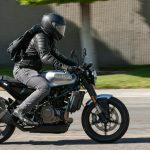 The hydraulic clutch feels nice and smooth however, on the model we tested, we were unable to get more than two fingers onto the surprisingly short clutch lever, not an issue if you’re a two-finger clutching kind of guy. 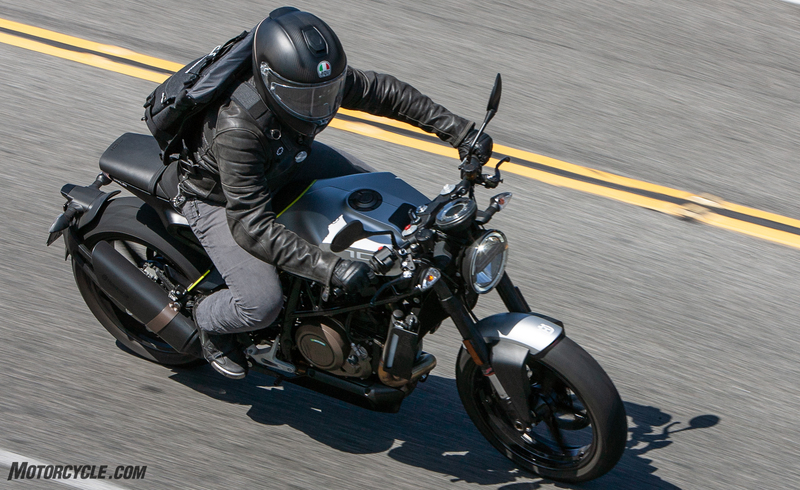 Husqvarna has delivered a modern and progressively styled motorcycle with the Vitpilen 701. 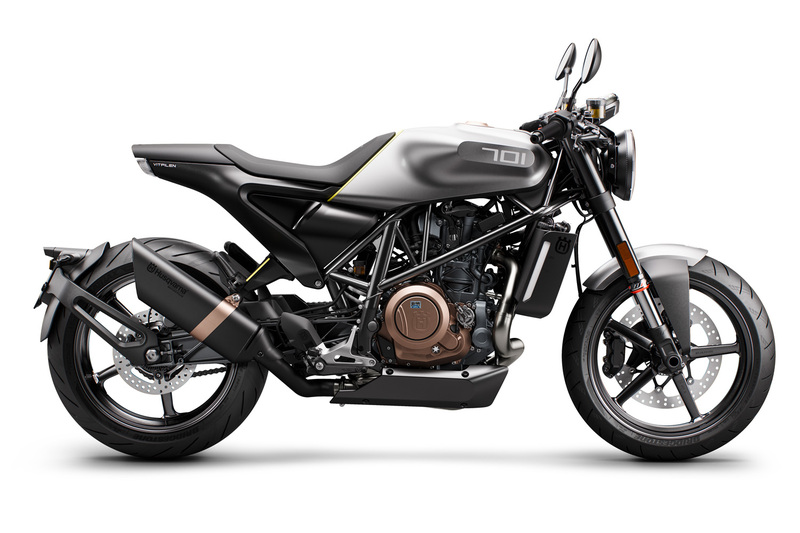 With our MO fave KTM Duke 690 selling for $8,999 and the all-new 790 Duke on the way, will that be enough? 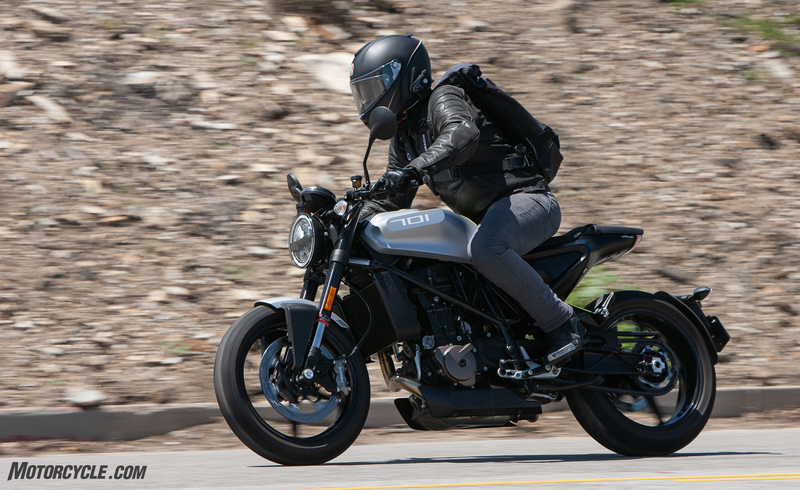 From concept to reality, the motorcycle has stayed true to its original design aesthetic of minimalist styling with great performance. 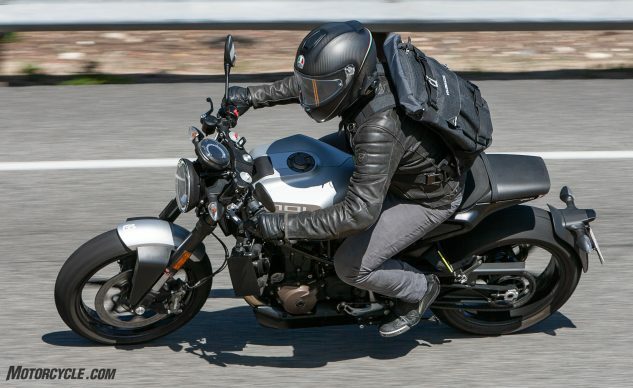 We here at MO enjoyed our limited time on the 701 and hope the motorcycle will appeal to buyers looking for a stylish, well-performing motorcycle. 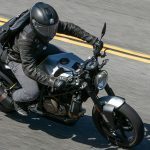 At $11,999, we will see if the price point stalls sales when models hit U.S. dealers in late May of 2018. Get price quotes for Husqvarna from local motorcycle dealers.